The right tools and skills. 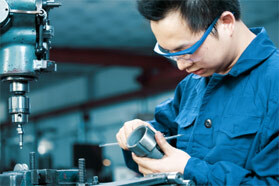 Martin & Riggall operates from a large workshop in Auckland, close to leading industrial enterprises and key suppliers. We have all the equipment and hands-on engineering skills to deliver a project from start to finish. 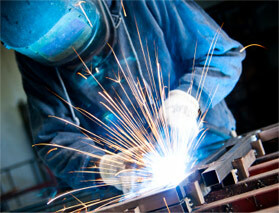 Our workshop is equipped with German-made Demmier Tables to facilitate highly precise welding and fabricating. We can build equipment with tolerances down to 1mm. We offer a complete welding service, with the ability to transform aluminium, mild and stainless steel into finished products. Our computer-controlled systems can machine highly precise components with unrivalled speed and accuracy. We handle all turning in out own workshop to ensure a high level of quality and reliablility build in. Bring us your requirements for structural engineering or construction components. We will deliver a result you can depend on. Productino machinery needs to be correctly set up and callibrated to deliver the results you're looking for. It's a service we'll galdly provide. Working closely with manufacturer, we offer a reliable and responsive service to keep their critical processes operating.